Product code: 828 Categories: Sold Items, Sold Watches. 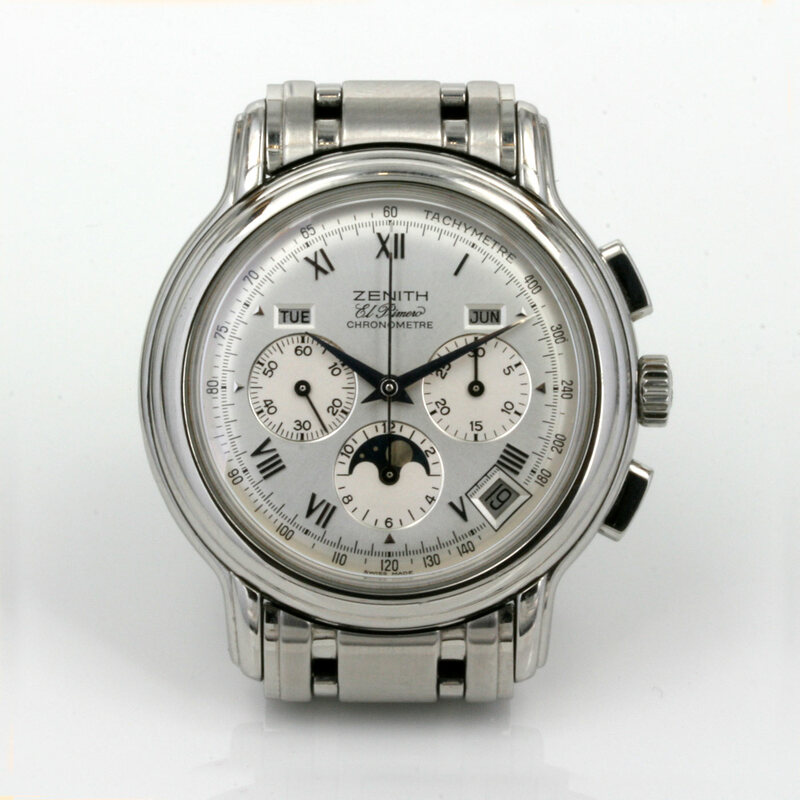 This is the infamous Zenith El Primero Chronomaster watch. Made popular by having the movements used in the Rolex Daytona, this is the Chronometer Certified 31 jewelled automatic Zenith calibre 400 with the date function. With an impressive 50 hour power reserve, sapphire crystal and exhibition window, the stainless steel watch case measures 38.5mm across. This particular Zenith is made wonderful and harder to find by having the blue dial which quite simply, looks stunning on the wrist. 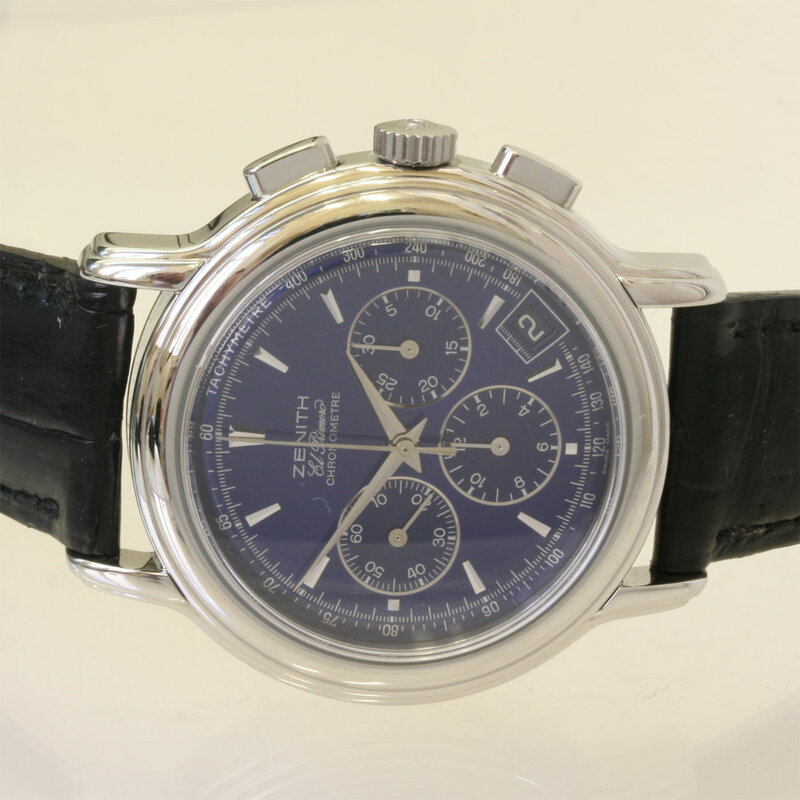 If you are after or have been after the Zenith El Primero, then consider this blue dial version.